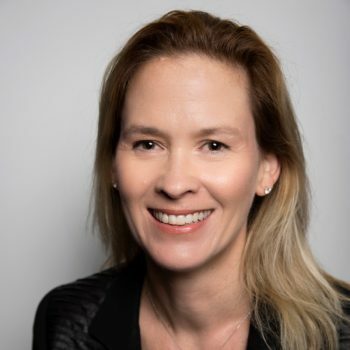 Kristeen McCarthy heads Digital Experience Design at Suncorp Group. Passionate about using technology to improve customer experience, Kristeen also loves creating fun work environments, fostering innovation and collaboration. She shares her insights on CX, culture and career in this exclusive interview with Matchboard’s Sharon Melamed. What is the culture you try to infuse in your digital experience team at Suncorp? My team is relatively new, it’s diverse and spread across three locations. Collaboration and integrity are table stakes for culture in the current era. I ask the team to foster a culture that supports constant curiosity, ensuring we understand the ‘why’ every day. Whilst my personal style is very authentic and transparent, we always need to maintain empathy for each other within our team, with other Suncorp employees and most importantly, with our customers because valuing diversity means we don’t expect everyone to think and feel the same way. Finally, our culture needs to support change agility – what worked yesterday may not work tomorrow. What approaches do you use to design digital experiences customers will love? For customers to love an experience, we need to walk in their shoes and understand the outcome from their perspective – it’s not about us, but about what they achieve. For some customers that means we become contextual and things just get done easily at the time and place they chose. For others, they want to get reassurance from an assisted interaction at key points in a journey. Our goal is to ensure digital becomes a key part of customer journeys by creating experiences which move seamlessly across self-service and assisted interactions. Our approach is to raise the influence of design in our digital product delivery roadmap. We’re spending a lot of time right now experimenting with journey mapping and how we can leverage human centred design by listening to customers to iterate our digital product delivery faster. We can then use the maps to trigger decision making, and become visual dashboards which bring our key metrics to life and help us prioritise what needs to be completed first. We want to focus on problems that truly matter to our customers, employees and stakeholders. What are the most exciting technologies you believe are making a difference in the way companies engage customers? We are looking to use automation and AI to scale our ability to respond to more customers anywhere, anytime with more detailed and accurate information. My personal view is that the use of voice technologies will accelerate rapidly and will start to change the search landscape significantly in the next 12 months. If your product or service is generic, such as car insurance, you need to be ready for this shift. Many companies struggle with the right blend of technology and people to deliver services. What are your views on the impact of AI on the human workforce? I subscribe to the view that there will be just as many humans in the workforce, they will just do different roles – someone still needs to train and manage the machines as they continue to prove they can take on more of the repetitive, analytical tasks which they are far more adept at than humans. It’s not a case of human vs machine, it’s human plus machine where the future lies. Learning agility and an adaptive mindset are the most important skills for the next generations to acquire. You studied geography, pursued a career in finance, before transitioning to leadership roles in the digital arena. Do you believe skillset diversity and career agility give you an edge? I’m not sure if I have an edge – but I think diverse experience is vital in the new generation of corporate leaders. A commercial mindset is always a key attribute, but curiosity, learning agility and relationship skills are things I continue to work on. Mind you, I still get excited about glaciers and if Google Earth had been around when I was studying Geography I might never have started in finance!